You are reading an article from the Understanding the sharing economy series, to read more about this you can visit the series homepage. Where do you go when you feel hungry? Probably a restaurant or supermarket. What do you do when you need new clothes? Perhaps visit your favorite store. As the below infographic shows, the rise of the sharing economy has resulted in a proliferation of goods and services in a way not seen before, disrupting almost every facet of life and allowing a multitude of choice – from receiving home cooked meals from your neighbors to subscription tie rental to finding a babysitter for your dog. There are now over 9,000 start-ups in the space and investment is pouring into companies like Airbnb, Lyft, KitchenSurfing, and Pley. Some examples of the variety of ways the sharing economy can change how we live. A collaborative effort by Raj, Let’s Collaborate, and Visually. As we race towards reaching nine billion people on the planet in the next few decades, it is clear that there are not enough resources to support us all and fundamental changes need to be made. The positive news is that the sharing economy has allowed us to find innovative ways to share resources with each other, helping us address some of the environmental and social problems we face. Although half the population in the US owns a power drill, it is used on average only six and 13 minutes of its lifetime. Does it really make sense for each household to own a drill when it will probably be stuck in the back corner of your drawer? Companies like Nextdoor, Streetbank, and Yerdle allow for you to borrow items from your neighbors, which are much needed solutions when you consider that countries like the UK are running out of landfill space in three years. Other innovative ideas that address environmental problems include Revivn, a start-up that collects outdated electronics from companies, repurposes them, and gives them to disadvantaged communities – a solution that decreases electronic waste and at the same time provides poor communities with access to technology. Companies like ZipCar, Carpooling.com, and Bandwagon help address pollution and carbon emissions by allowing you to rent cars or rideshare. 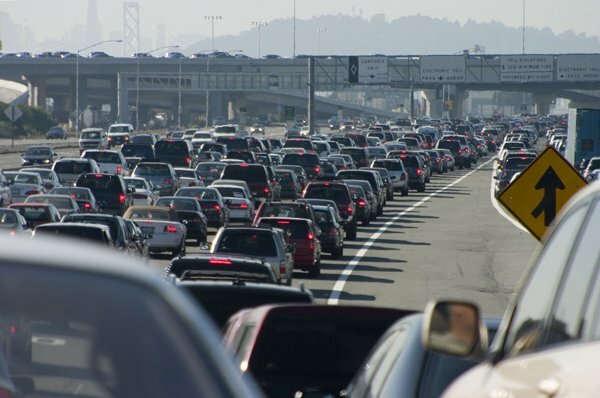 When you consider that 74% of the cars on the road in the world are just occupied by one person and an average car sits idle 23 hours a day, it really makes sense to share! Besides from benefiting the planet, the sharing economy can have an impact on people too. A woman called Tama had her livelihood threatened when she developed a serious health condition during the economic crisis, crippling her with prescription costs mounting up to $1,000 per month. Tama rented out her room on Airbnb, which allowed her to keep her home and pay for her medical bills. In fact, half of Airbnb’s hosts are on moderate to low incomes and use Airbnb to make ends meet. Stories like these are common in the sharing economy – from student loan platform Commonbond transforming the lives of students by making education more accessible to the The Good Gym which improves the lives of others by getting people out of the gym and participating in physical tasks that benefit the community. I’ve seen the impact of the sharing economy personally, from seeing the eyes of a new small business owner light up when I gave her my printer through Freecycle to the social bonds formed when dining with my local community on EatWith and Feastly. As I ride on a bike on the way to work through the Citibike bike-sharing scheme wearing a bright dress that I’ve swished at a clothes swap party, I’m hopeful that the sharing economy will become a normal part of everyday life. It’s an exciting time where major industries are being disrupted by a new generation of ideas that do well by doing good. -This is a guest blog and may not represent the views of Virgin.com. Please see virgin.com/terms for more details.